Last night’s ratings were affected by Seven’s Telethon which raised a whopping $25.8m in Perth over its two day event. As a result it ran a staggered network schedule. 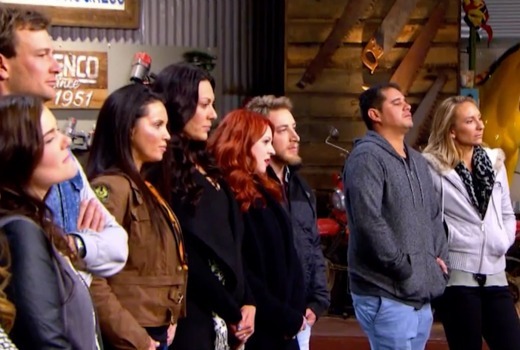 The Block topped the night, drawing 1.14m viewers for Nine, down slightly on last week’s 1.16m. ABC’s new drama The Beautiful Lie drew plenty of social media love but has a middling debut at 540,000 while US dramas on both Seven and TEN drop in their second week. Nine network 31.2% then Seven 31.0%, TEN 17.1%, ABC 13.9% and SBS 6.7%. Following The Block for Nine were Nine News (1.05m), 60 Minutes (886,000) and Events That Changes the Nineties (486,000). Seven News (1.06m) was best for Seven then Sunday Night (896,000 in 4 cities / 7TWO: 24,000), Beach Cops (730,000 in 4 cities), Quantico (625,000) and Castle (408,000 / 237,000). TBL Families had its first Sunday topping TEN with 536,000 viewers. TEN Eyewitness News was 504,000, Limitless was 455,000 and Scorpion was 409,000. A daytime MotoGP race averaged 409,000. ABC News (798,000) was best for ABC. New drama The Beautiful Lie debuted with 540,000 followed by Doctor Who (501,000). Compass was 252,000 and Humans was just 145,000. On SBS it was Egypt’s Lost Queens (328,000), The Seventies (176,000), SBS World News (171,000). George Harrison: Living in the Material World was 90,000. What was The Verdict replay on Sunday night? Thanks – Nine will be hoping some of these “new” viewers tune in Thursday but I doubt they will.. more likely lack of options that time of night driving the figure. Beautiful Lie was gorgeously filmed and actors were all doing a fine job (take a bow, especially, Celia Pacquola, though all were terrific) but surprised at the gushing reviews. The thing around which it revolves – the passion between Sarah Snook character and musician – was completely unconvincing. Didn’t believe it for a second. Partly direction, partly miscasting. All so beautiful and tasteful and … empty. Caught up on offsiders, media watch and gruen. Then watched quantico. Good one liners on gruen and media watch regarding the verdict. Regarding offsiders, ABC seems to have improved the watermark that says offsiders on the top right hand corner. Its a little smaller and not so white. Made it a little more watchable but still think its too big. I still don’t understand why offsiders has 2 abc watermarks on the bottom right hand corner that don’t quite align when watching through iview. They don’t do it on gruen through iview so why are they doing it to offsiders. Its distracting. A Beautiful Lie was unexpectedly terrific. Promos bored me. Quantico actually held up pretty well, only dropping 10% from its premiere last week. There’s hope for it to not be bumped just yet. What did you think of Quantico? Last nights episode was ok. I liked the fact that you could easily tell between past and present. Some shows do that poorly. But I’m not sure about the direction there heading with the storyline. Still there was enough in it for me to watch next week. I haven’t seen it yet. I’m committed to other good shows at the moment. I might wait until until the season ends and binge it – then I can just stop if I don’t like it enough. I thought that Beautiful Lie was well made; but with some uneven performances giving it a heightened even stylised feel; distancing me from it. Built around infidelity, it is hard to barrack for the main characters too. I love Sarah Snook, so that is the hook factor for me. And that they have already pre-empted the ending is another lure. Establishing so many characters was always a big ask; so if viewers are not already hooked; it’s going to be tough to catch up.